The story wasn't moved forward a great deal on The Walking Dead Season 4 Episode 12, as viewers mostly spent time on the installment watching Beth and Daryl bond. Will the action pick up next Sunday? Big time, based on the following sneak peek. In a clip from The Walking Dead Season 4 Episode 13, we se Bob Stookey, Maggie and Sasha standing amidst a dense layer of fog. 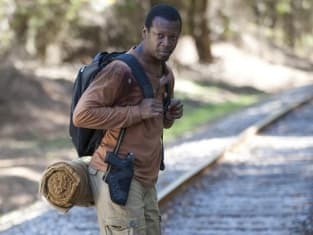 Cue the appearance of some walkers, some walkers, some major knife and spear attacks and a concluding cry from Sasha.